Members Tell Us What They Think - Summary of findings from 2018 Survey (click here to download tabulations). On November 12, 2018 we began an online survey of members and friends of the Claremont Canyon Conservancy for whom we had email addresses (N=523). We followed up three weeks later by a mailing to non-respondents and additional member households for whom we did not have email addresses. By the close of our survey in January, 2019, a total of 180 persons responded, either electronically (N=105) or by sending in their survey through the mail (N=65). Click on the image for a self-guided slide show. Contact us for a presentation with this slide show. At its March meeting, the Conservancy Board of Directors elected new officers—including Marilyn Goldhaber as Vice President, Nancy Mueller as Secretary, Kay Loughman as Treasurer, and myself as President. Tim led this organization with dedication and a steady hand for much of the past 18 years. Fortunately, we are not saying goodbye to Tim; he will remain on the board as a member-at-large. I begin my term with a shout-out to retiring president Tim Wallace. 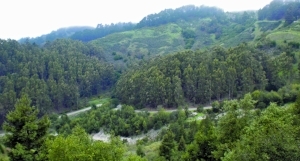 Oakland’s current $4 million funding level for vegetation management, for which the Conservancy and other local organizations lobbied hard, will need our support again soon. In February, the city’s finance director, Katano Kasaine, told the City Council that these funds, to be spread over two years, were a “onetime appropriation” and thus were not included in the baseline budget. After more than a decade of disappointments in its failure to obtain funding to assist with vegetation management and wildfire protection, the University of California is once again hopeful as it has been awarded a $3.6 million grant from Cal Fire. UC’s Grant Proposal to Cal Fire: The University of California at Berkeley proposes to treat vegetation in 250 acres in its Hill Campus (upper parts of Strawberry and Claremont canyons) to reduce wildfire hazard to its buildings and nearby homes, targeting areas forested with “flammable eucalyptus and high fuel volume.” UC will also create defensible space within 100 feet of roads, fire-trails, buildings, and homes and increase the reliability of the 150 KV transmission line that supplies power the campus and Lawrence Berkeley National Laboratory. To bird is to listen. And once you know the vocalizations of the local birds, an unusual bird stands out. That’s how Erica Rutherford and I discovered a summer tanager last fall in the Claremont Canyon Regional Preserve. Within minutes of stepping out of our car on the October 30, we heard “pit-ti-tuck,” a vocalization reminiscent of an expected (albeit out-of-season) species, the western tanager . . . but not quite. So, when we heard “pit-ti-tuck” again, we ran. Once again our intrepid little group of birders, led by Dave Quady, headed out on a chilly morning in December before dawn to listen for owls. After hearing the hoot of a Great Horned Owl, all retreated home to warm up with coffee and breakfast before regrouping at 8 A.M. at the top of Claremont Canyon. We saw thirteen bird species, all expected in Claremont Canyon at this time of year. We feel fortunate to have Dave as our leader. He is always full of information and good cheer and has birded in our area for many years. Walking the trails in Garber Park became just a little easier–and safer—thanks to the wonderful turnout and hard work for our rst ever Earth Week, April 18-22. That’s right! Our activities extended over nearly a week, not just a single day. Sue Piper's opinion editorial appeared in the San Francisco Chronicle on July 16, 2018 (click here for a link to the article). For the full article (the link is truncated) please continue reading below). Building and maintaining trails in Claremont Canyon is the Conservancy’s way of inviting area residents to experience the joy of living in the wildland-urban interface. We think it will help remind people that responsibility comes with the pleasure of living here. We need to care for our environment by making our wildland accessible and by removing invasive plants and keeping it as firesafe as possible. Please find our response to Oakland’s Draft Plan, plus cover letter and appendices. Especially with spring birding trips, our walk was as much about listening as seeing. We identified 29 species (see list below), many by sound alone. Resident singers, American Robins were among the first species we heard. Newly-arrived Swainson’s Thrushes announced their presence with single chips–they’ll be producing their spiraling ethereal song in another week or so. Then the “what peevesyou?” call of a distant Olive-sided Flycatcher let us know it too had completed its northward migration.